Since we currently don't really post requests here. This forum will be a casual forum to rest after a hard days work at the cream . 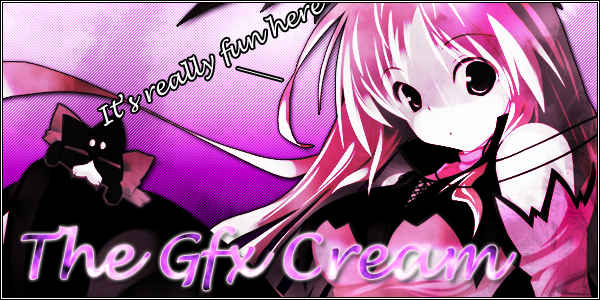 We will still take requests and the liek and there will be contests and other fun things, but overall this forum will be a general discussion forum with Graphics Cream sprayed over the top xD . If have any OBJECTIONS, post it here!